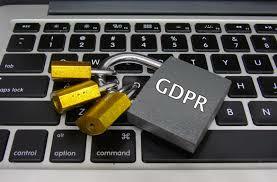 The General Data Protection Regulation comes into force on 25th May 2018. It is an important and complex piece of legislation that places particular responsibilities on Glenfield Parish Council as a public authority. For example we have to seek permission from those residents who comprise our email group that we can continue to process your data i.e. to keep your personal data on our database and to send you emails and provide you with information in other ways. An e-mail or a letter making that request has already been sent to those people on our database and can be viewed here. If you are on the list but haven't received the email then please contact admin@glenfieldparishcouncil.org.uk or submit your consent via the form on this website - click here. You can grant consent to any or all of the purposes listed. You can withdraw or change your consent at any time by contacting the Council office. There are other important notices to do with GDPR that we want to bring to your attention. Our Privacy Notice can be viewed here which will advise you how the information you provide will be used. Details of our Subject Access Policy can be accessed here.